The Arthurian legend starts again in voxel (3D pixels). Cube Knight : Battle of Camelot is the best casual action game going. It surpasses the fun of the standard hack & slash genre. Become one of the legendary Knights of the Round Table and embark on an adventure for the Holy Grail. Play as various hero classes including lancer, bowman, knight, fairy and witch. King Arthur’s Excalibur, Lancelot’s Arondight, Gawain’s Gallatin… Which one of these is the ultimate artifact? It all depends on the steps you take in your adventure. You can now enjoy the legend of King Arthur the Ruler of Avalon in voxel (3D pixels). 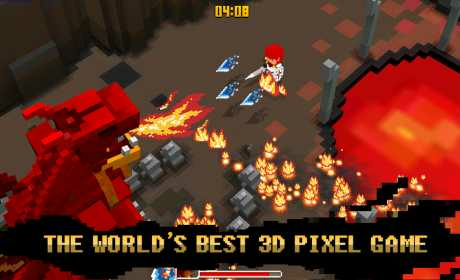 Cube Knight: battle of Camelot will become the most successful voxel (3D pixel) game. You can play the game offline without an internet connection. Now, strike out on a journey to the legendary kingdom in search of the Holy Grail. – Cube Knight is a survival two-thumb shooter. 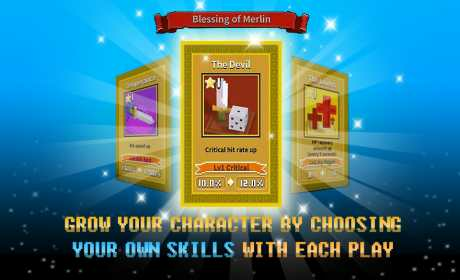 – Choose your own skills in wave after wave of battles to enjoy a new playing experience every time. – Embark on entirely new journeys with different characters featuring various skills. – Take out an endless flow of enemies in the Colosseum. – Some objects monsters drop will help you throughout your journey. – Want to play offline? – Sure, you can play Cube Knight offline without an internet connection. – Play as various classes of heroes including a lancer, bowman, knight, fairy and mage. – Set out on an adventure with the legendary heroes King Arthur, Lancelot, Galahad, Gawain and Guinevere. – Each hero has their own artifact that will help you on your journey. – Each artifact has its own features. – Each Knight of the Round Table has their own charging skills, including consecutive attack, Holy Blade, and more. 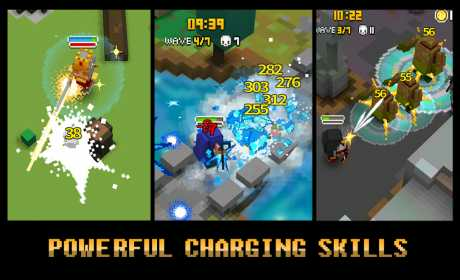 – Freeze enemies with a huge Ice Drop and charge forward with Holy Blade! – Clear out scores of enemies with hack & slash attacks. And don’t forget Lancelot’s Shield Rush! – A flourishing kingdom produces better artifacts. – What will be the Kingdom’s fate after the Battle of Camlann? – As the kingdom grows you will be able to meet more Knights of the Round Table. – Adventure to the Island of Avalon, where King Arthur is in a deep slumber. – Change the direction of the love and fate unfolding between Guinevere and Lancelot in Camelot Castle. – Hack & slash in the Dragon’s Tomb in search of the Holy Grail. Cube Knight : Battle of Camelot is the best free game around that surpasses the typical hack & slash genre. Some items can be purchased in game. Some features such as watching ads may be restricted in offline play. If you do not want to make any purchases, you may configure your Google Account settings accordingly.